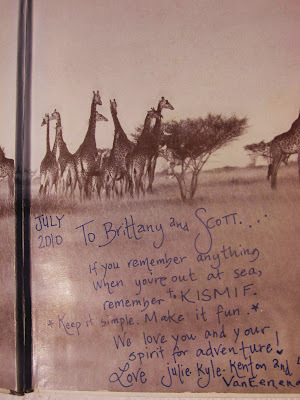 Some very dear friends of ours (who are also sailors with a thirst for adventure) got us this book for our wedding. I started reading it and love it. I think it's perfect. It might even be magic and I am certain I was meant to have it. Here, in a story about everywhere else in the world, is romantic Americana that will one day be history. These pages themselves are adventure....Many a story is called a saga. 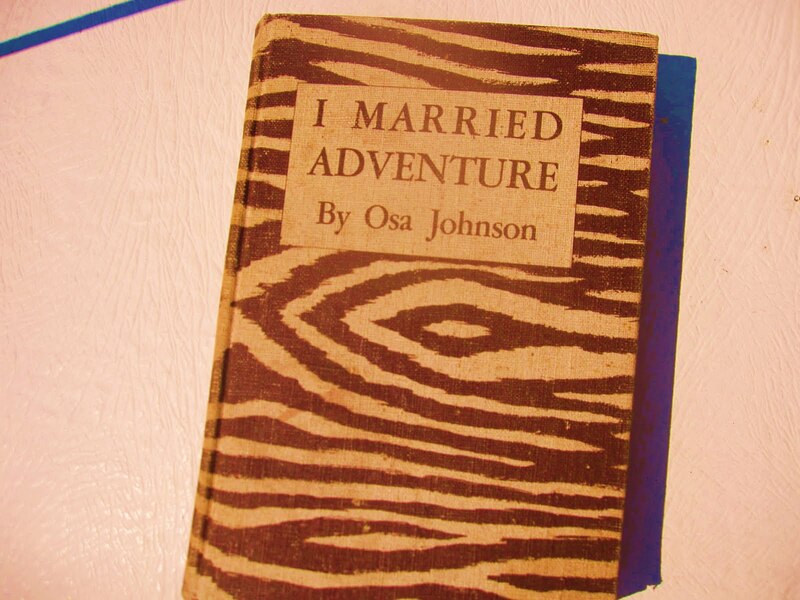 This is one...when Osa married Martin she married his destiny. It was to be always a-going, always-a seeing. Home was to be a schooner in the South Seas, a Raft in Borneo, a tent on safari, a hut in the black Congo, sometimes a dash of Paris, interludes of an apartment on Fifth Avenue - but always a place to be going from. No matter where or how, through it all, the telling is no more travelogue and picture album, but rather the intimate tale of two lives - boy and girl from Kansas, pushing their horizons into new places. 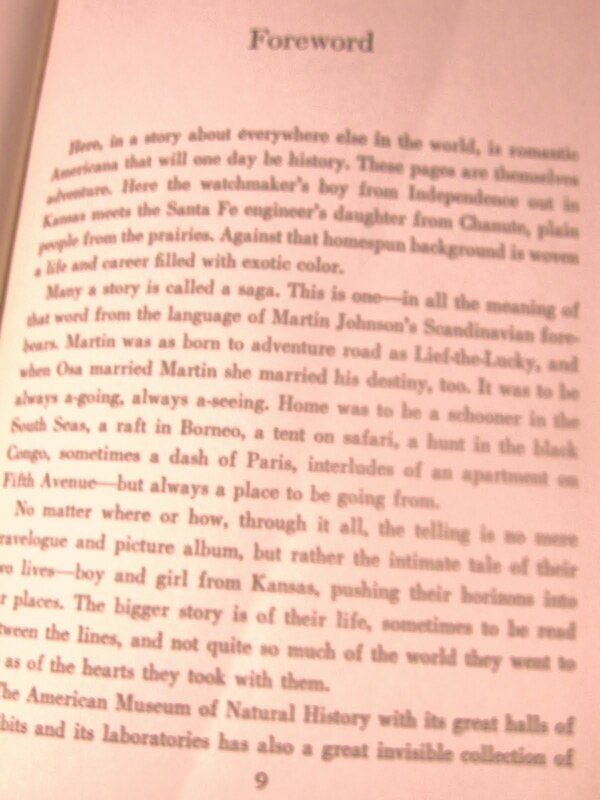 The bigger story is of their life, sometimes to be read between the lines, and not quite so much of the world they went to see as of the hearts they took with them. The best part... you really DID marry adventure. The perfect gift for the two of you! WOW! I just ordered the book on Amazon. I am really enjoying your adventure.